Born February, 1953, in a Wyoming blizzard, Cindy was raised on the family ranch west of Douglas, Wyoming. Although neither of her parents had an interest in rodeo, they always supported Cindy’s interest, and Cindy began competing in high school and college. From there, she progressed into the Wyoming Rodeo Association and the WPRA. In 1976, Cindy married Jeff Reynolds, PRCA gold card holder, and simply moved north of Douglas to continue her ranching lifestyle, helping Jeff work his family ranch, the Duck Creek Ranch, for the past 33 years. Both the Burks’ ranch and the Reynolds’ ranch have been in the respective families for three generations, with the Burks’ ranch being a Wyoming Centennial Ranch. An accomplished horsewoman, Cindy trains her own barrel horses, spending as much time gathering and trailing steers on them as she does in the arena. She is especially proud of the fact that she has trained and run five different horses to win NSPRA titles. 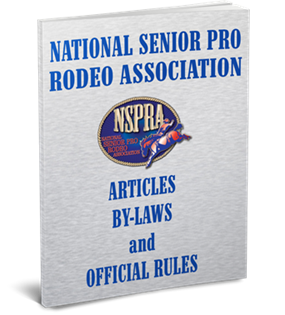 Upon joining NSPRA in 1995, Cindy quickly made herself known as a formidable competitor, winning numerous saddles and buckles in both barrel racing and ribbon roping. Cindy earned World Champion Barrel Racer titles in 1997, 2000, 2001, 2005, and 2007, World Champion Ribbon Runner titles in 2000, 2001, 2005, and 2008, World Champion All Around titles in 2000, 2001, 2005, and 2008, Reserve World Champion Barrel Racer in 2003 and 2008, Reserve World Champion Ribbon Runner in 2006, and Reserve Champion All Around in 2007. In addition, she was the SNFR Barrel Racing Champion in 2000, 2007, and 2008, the SNFR Ribbon Runner Champion in 2000, 2002, 2004, and 2008, and the SNFR All Around Champion in 2000, 2001, 2002, and 2008. Cindy cites highlights as being: Jeff, her folks, and her sister were at the finals when she won her first World Championship; Lark, a black Kelpie, aka Rodeo Rose, traveled with her all these years; Two awesome ropers were her main partners – Jerold and Leo Camarillo. Cindy has served six years on the NSPRA Executive Board and is currently Sanction Committee Chairman.